NBCUniversal Media, a New York-based multinational media group, and its Vietnamese partner, POPS Worldwide, are working together to produce and distribute entertainment videos on YouTube. They will launch POPS TV, an entertainment video website, containing celebrity news and hot reality series. The website will consist of three categories: E!Zone, Entertainment and Music, which will feature TV shows on fashion, beauty, kids, movies, music and hot news about international and local superstars, along with many more. POPS Worldwide will also localise and distribute E! Zone channel’s top hot reality shows produced by NBCUniversal, such as Keeping up with the Kardashians, Citizen Rose, E! News Asia Special and Rich Kids of Beverly Hills. They later will produce and distribute Vietnamese versions based on E! formats. “E!Zone will be the ultimate female-focused brand covering celebrities, entertainment and pop culture including a number of key titles and content localised for Vietnamese audiences,” said Vietnamese-American Esther Nguyen, founder and CEO of POPS Worldwide. POPS Worldwide began business in Viet Nam in 2008. It has more than 290,000 digital content assets, 3.8 billion monthly views and 80 million subscribers. It has worked with foreign partners, including Discovery, TV Asahi, UUUM and FUN Union. Its POPS Awards, which honour digital entertainment products, began in 2014. The awards encourage dozens of Vietnamese filmmakers, music producers and artists to pursue professional development. 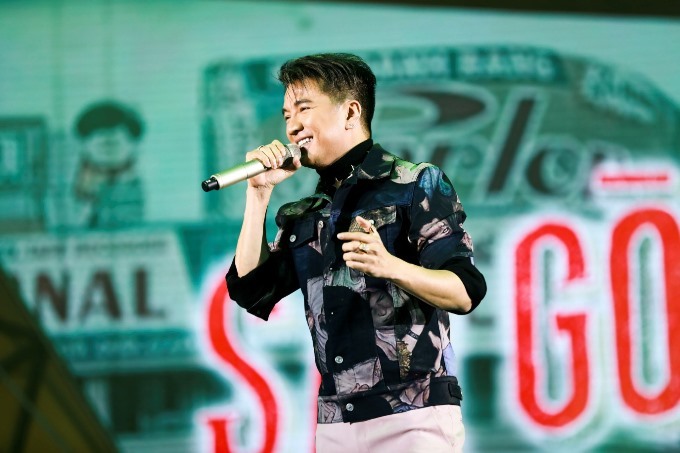 Pop star Đàm Vĩnh Hưng was recognised as the first artist who received the highest number of advertisements, based on his advertisement income from all nine channels of POPS Worldwide.